Mention the word “Caribbean” and most people think of places like Aruba, the Turks and Caicos, the Bahamas, and other tourist-rich dollops of sand. The region conjures well-deserved images of crystal-clear waters and white-sand beaches. And there’s no question: If you like sun and sand, these islands are great for a vacation. But move there? Most folks assume it’s just too expensive and don’t give it another thought. If you’ve had enough of this lunatic political season in the U.S...and you’re not looking forward to another cold winter either, the news is good: You have some great-value coastal options today in nearby Latin America. Ambergris Caye vs Roatán: Which Caribbean Island Would You Retire to? So you’ve decided to retire to a Caribbean island paradise. You can already see yourself, toes in the sand, sipping a mojito by the turquoise-blue sea. Behind you, children laugh as they cartwheel down the beach, and by the waterfront fishermen chat as they haul in the catch of the day…but where are you? Read More	: Ambergris Caye vs Roatán: Which Caribbean Island Would You Retire to? Each morning I’m greeted with vibrant sunshine and the enchanting sounds of a jungle awakening. I often start my day watching the stunning sunrise while walking along the beach. Then, perhaps a late-morning swim in the warm, clear waters or snorkeling on one of the most incredible coral reefs in the world. 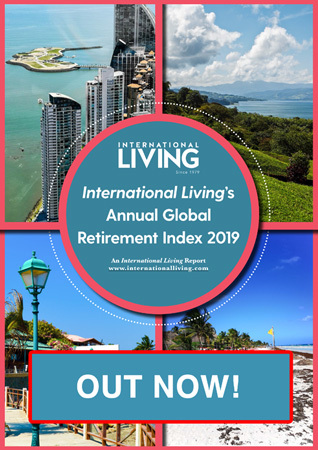 In International Living’s March issue, Roatan was named as one of the best islands to retire to in 2015. Having just returned from an exploratory trip of Roatan, that didn’t surprise me. So what exactly makes this island so special? Most islands are surrounded by a sea…but not all are created equal. If, like me, you find the Caribbean Sea’s aquamarine hues and vibrant sea life irresistible, this article was written with you in mind… I’ve experienced many seas during my many travels. But the Caribbean Sea is my all-time favorite. After my first trip to the Virgin Islands, my mind kept leading me back to the idea of investing in a property on the Caribbean Sea. In this article, we outline the best five tropical island paradises for retirees. These places meet all the criteria needed to make them perfect retirement havens. As well as looking the part, all five of these islands—spread throughout the world—are becoming easier to get to as more and more flights open up to and from North America. Many tropical getaways have been consumed by commercialism, leaving them beyond every reasonable budget. But the islands on our list remain affordable, as attested by our expat experts on the ground. On some, it’s possible to live for as little as $1,500 a month including rent. Islands are places where the stars shine bright at night. Out in the ocean, a profound quiet exists (no traffic jams, hassled commuters, sirens). And because not everything is always so easy to get on an island, one tends to care less about “getting” at all. Life really does become simpler. That stretch of water that separates an island from the mainland is nature’s moat. It keeps these places special…apart.